Ever had to say this? Do you feel guilty when you say it? Or like others are judging your priorities? I think sometimes, women especially but men too, think they need to just give give give to everyone else, leaving little to nothing for themselves. My mum was a single mom for most of my life. She is amazing - I swear she went on about 10 hours sleep total in my teenage years. Why? Not just the stress of having two teenage daughters! But she also would get up super early to go figure skating (she LOVES skating) and sometimes she would go later at night as well. She worked all day, long hours. She drove us to our sports and made us dinner. But she also fit her workouts in. Sometimes dinner was leftovers or whatever we threw together because she was out skating. That doesn't make her a selfish mom. No, quite the opposite. She was able to give so much more of herself to my sister and I because she took time for herself, because she put her health as a priority, and because she taught as that what matters to you, what nurtures your body and what keeps you sane and healthy IS a priority. It's as important as anything in your life. 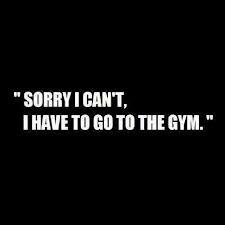 So drop the guilt when you say sorry, I am working out or sorry, I am running, or sorry I don't eat that or whatever it is. When you've taken care of yourself and your body, then you're truly able to take care of others. There's a reason us flight attendants tell you to put your own oxygen mask on first! How do you make your health a priority? I'm sorry - can't post gotta to the rink!!! There were times I felt guilty about going to the rink, but I also recall times you guys told me to go the rink because I needed to chill! You were usually right because I know i got bitchy when I didn't exercise - still do. I can't say it was always the right thing to do, but the fact that both of you are so exercise and health conscious now does make me proud of you. Ah, but the sleept thing...I often didn't get enough and think there were times when I should have slept instead of skating! But seriously, I do have to go the rink now. Later! I love that you really were going skating! But seriously, we benefited a lot from having a sane, healthy mum instead of one who acted like raising her kids was her whole life. You showed it's possible to be the most amazing mum ever while still taking much needed time for yourself! and you taught us to eat and live healthily!